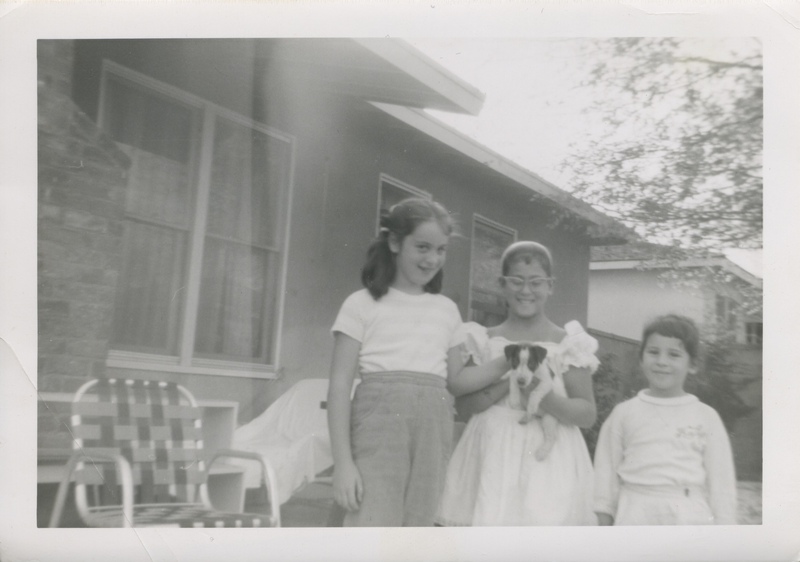 My mother and aunt got their first dog when my Aunt Helene won a puppy in a rigged television contest. The contest was supposed to reward the most creative puppy name with a puppy, and her choice of “Sir Jackson” (which is really quite a spectacular name when the breeder’s name is appended to the end, becoming “Sir Jackson Half Moon of Anderley”) was the one that won. 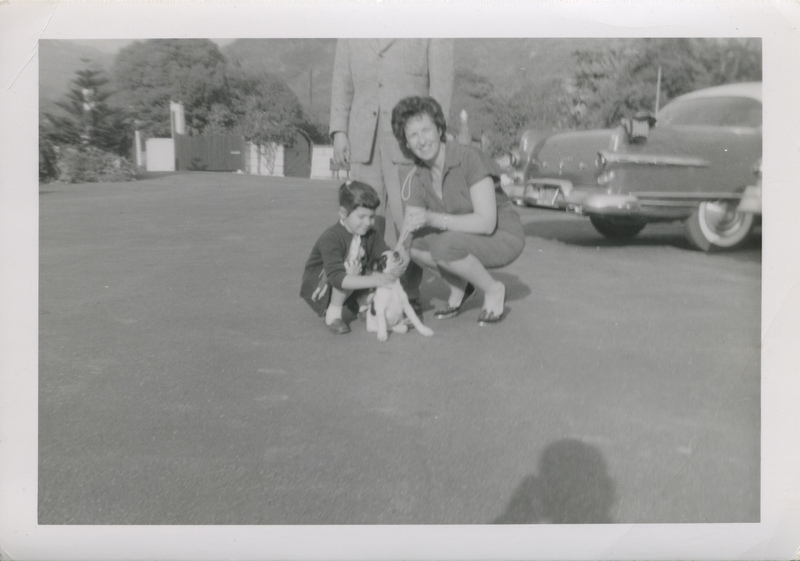 It didn’t actually matter what name my aunt came up with though, because the show’s producer was a customer of my grandfather’s and told him that any name his family came up with would win them the puppy, if they so desired. My grandparents did so desire because they wanted their children to have the kind of childhood that came with dogs, a childhood that would be quite unlike their own. Both Frank and Ethel, my grandparents, had what I suppose you could call extraordinary childhoods, not because they were so spectacularly filled with the amazing, but because they simply were not ordinary 20th-century American childhoods. Of course, in my grandfather’s case, that is because he was not an American child. His childhood was a happy one, I think, in spite of the lean years in Vienna during World War I, and the philandering father that he learned to resent as an adult. He played sports and had a lot of friends, but lived in a fancy house in a cosmopolitan city and I highly doubt that his childhood of household servants and skiing had room for pets. My grandmother Ethel, on the other hand, had a much different childhood, growing up in a home that could not have contained much fun but much quiet and anxiety. Though I think she was happy as a child, her mother was often sick and was always overprotective. Far from inviting dogs or dirt into the house, my great-grandmother Anna made Ethel cross the street if she was on the same sidewalk as a dog and liked her to sit inside and read instead of climbing trees or building forts with her friends. But these were not the kinds of experiences that Frank and Ethel wanted for their daughters, so they became a family with dogs. Sir Jackson became Jackie once he arrived home, a dog always ready to bolt, as he did when it was time for his final obedience school test (my grandfather found him hiding under the car in the parking lot) and when the front door was left open (the last such time meeting his maker on a busy Coldwater Canyon Boulevard). 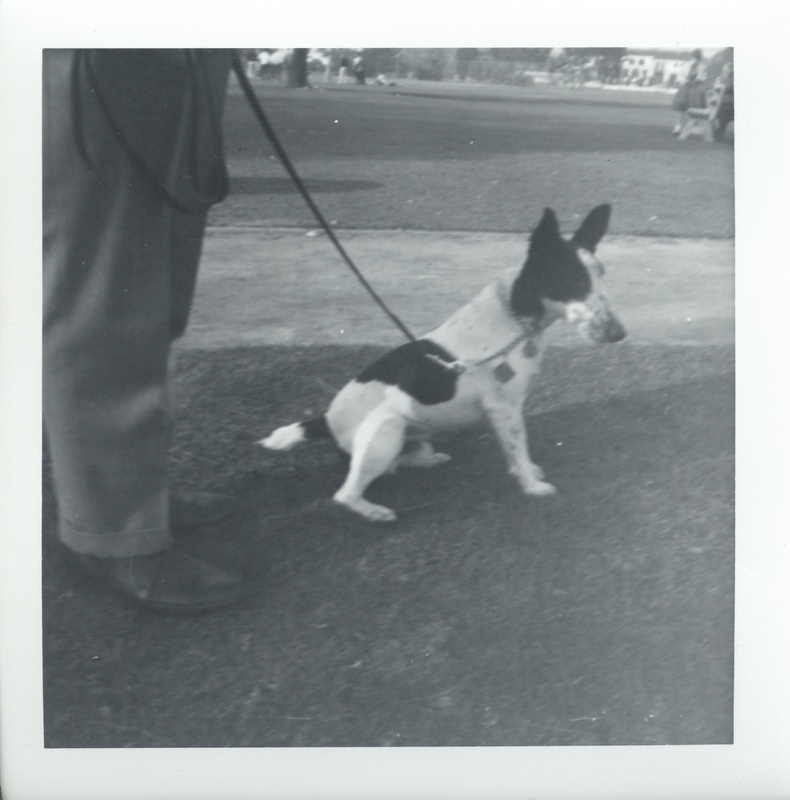 He wasn’t the last dog either, but since he was the first, he was also the most photographed (the images here taken with two plastic Kodak Brownies I still own). I am thinking about my mother’s life with dogs today because only 2 and half years ago, she and my stepfather had five dogs always underfoot. Now, as of yesterday, they have none.